Chasing a passive candidate is like trying to ask out your crush…if your crush was already happily engaged. We all know many of the best and brightest talent out there are gainfully—and happily—employed. Too often, these crush-worthy candidates aren’t looking at your job post, they’re not picking up your cold call, and they’re not responding to your email. But if romantic comedies have taught me anything, it’s that situations like these call for one thing: a grand gesture. And, some companies are doing just that. When faced with the challenge of attracting top talent currently employed elsewhere, you could say one idea hit former CEO Amy Rees Anderson’s like a truck—or an RV, that is. While leading MediConnect Global, Inc., Anderson and her team came up with one especially out-of-the-box idea to target employees at competing companies they admired. They bought an old, cheap RV and turned it into their mobile hiring center, complete with “Now Hiring” in giant letters. The team would park the RV in a competitor’s parking lot at lunchtime (for maximum foot traffic) and hand out flyers to people walking by. 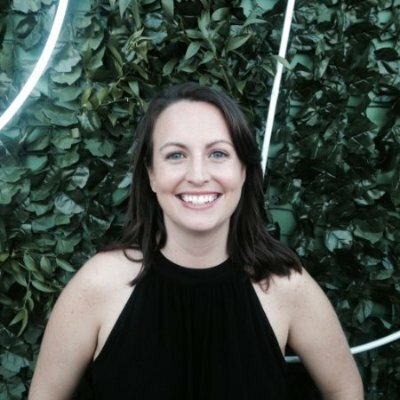 The mobile hiring center served as an inexpensive recruiting tactic for candidates with sought-after experience and allowed her current team to contribute to their business’s growth in a unique way. Talk about a win-win! But RVs aren’t the only big visuals we came across—billboards will do the trick as well. 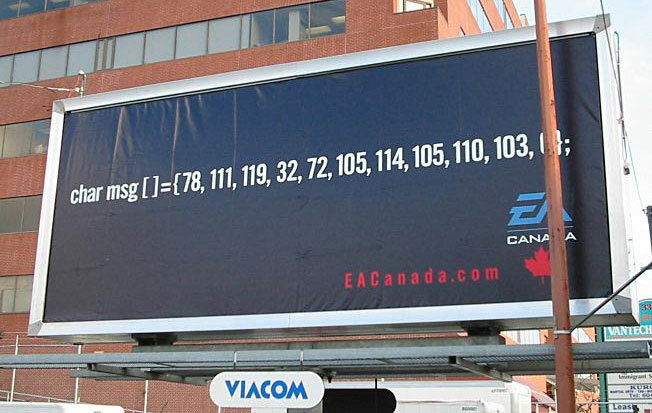 While in search for some new programmers, Electronic Arts once placed a billboard that said “Now Hiring” in front of the offices of rival game company, Radical Entertainment. The best part? “Now Hiring” was written in ASCII code. A few years ago, Forbes reported that Uber employees were noticing a geo-specific Snapchat filter while working at Uber’s San Francisco office (and only there) that tried to playfully poach them from their current positions. 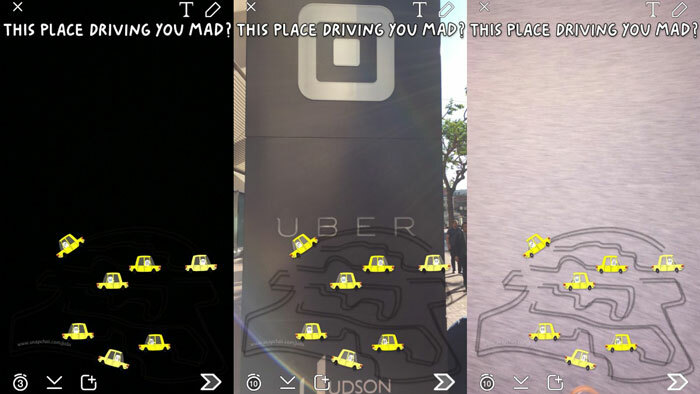 “This place driving you mad?” asked the unique filter, with images of wayward taxis populating the bottom of the screen, alongside a link to Snapchat’s careers page. Similar recruiting-minded filters popped up at the headquarters of Pinterest, Twitter, and Airbnb, and Snapchat spokeswoman Jill Hazelbaker eventually admitted to deploying the ads as a “unique and playful form of recruiting.” Though some leaders might object to the home-turf targeting, it’s undeniably a low-cost way for Snapchat to recruit talent from the Valley’s top tech companies. Recruiters are known for their strong sales skills, industry expertise, and ability to build relationships, but not usually for their undercover work. David Perry made a name for himself as an executive recruiter with a do-whatever-it-takes mentality—even if that means disguising himself as a snack vendor. Perry rented a snack truck for $500, donned a hairnet and apron, and asked every customer he came across for information about one especially secretive prospect he was hired to poach for a competitor: his client didn’t even know the recruit’s name! Perry’s other tactics range from paying a janitor for the number of the phone in an executive’s private bathroom, to posing as a waiter at a company Christmas party. His methods may be unconventional, intrusive, and ethically ambiguous, but they work (according to his LinkedIn he has a 99.54% success rate with $350MM in salaries negotiated). This strategy isn’t just great for high-level executive headhunters. Just ask Dolly Sighn, SpaceX’s former Director of Talent, who was asked by Elon Musk to hire the best person on the planet…to serve yogurt.. She and her team visited several yogurt shops on undercover “guerilla visits” in order to find an employee who dished out the cold treat like a pro. The world of recruiting is a competitive one—and sometimes that competition calls for drastic measures. While we’re not suggesting you have to paint an old RV or wear a hairnet and an apron in order to snag an elite candidate, we do hope these serve as both humorous and informative examples of the power of creative solutions. They may be outrageous, outlandish, and potentially difficult to organize, but all the best grand gestures are.